Purple martins (Progne subis) are the largest North American swallow. They are 7 1/4-8 1/2 inches in length and have a wingspread of 15-16 inches. They get the nickname "purple" from the appearance of the male birds that have molted twice. He is uniformly iridescent and is blue-black above and below. They glide in circles alternating quick flaps and glides, often spreading their V-shaped tail. They have a rich throaty voice that is pleasant to hear. 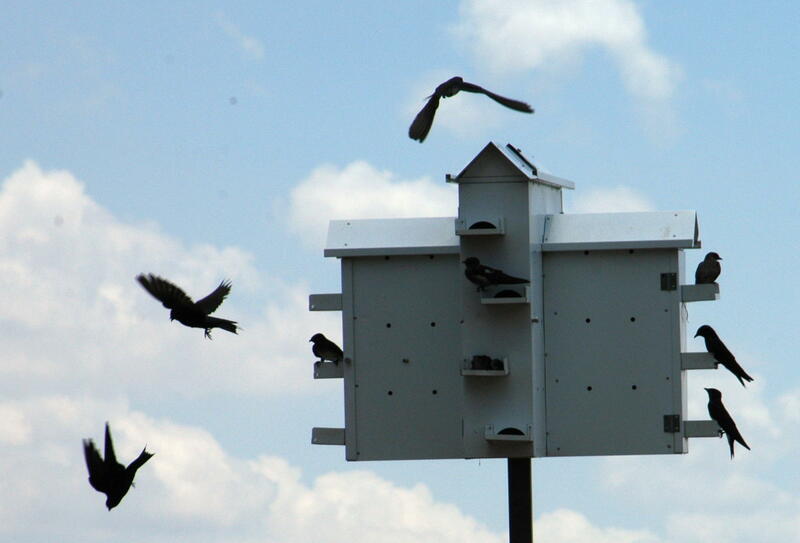 The Purple Martin Female usually lays 3-6 eggs that are approximately 1 inch long and 3/4 inch wide. They are pure white and have a flat tone. 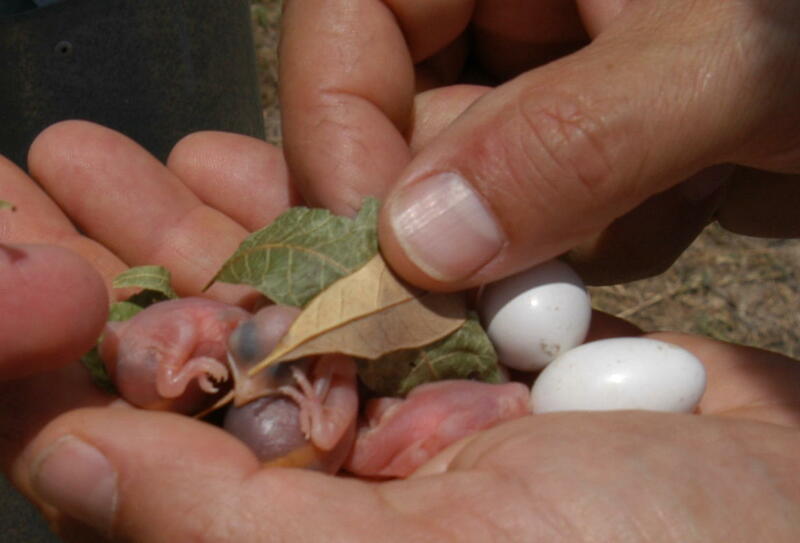 The female normally will lay one egg a day, usually in the morning, until her clutch is completed. At this point incubation begins. Let's look at a mosquito misconception. There is a lot of misunderstanding concerning the Purple Martin and the mosquito. Some martin house manufacturers claim that a martin can eat large numbers of mosquitoes. This is true, but research has shown that mosquitoes usually consist of less than 3% of a martin's diet. The research of James Hill III of the Purple Martin Conservation Association supports this fact. It is true that a martin can eat 2,000 mosquitoes. A martin physically has this capacity, but it is not the norm for them to try to achieve this specific task. If you are interested in attracting martins for mosquito control, you are after the wrong creature. Bats are a much more prolific consumer of mosquitoes. Information on bats can be found at Bat Conservation International, Inc.
Martins do eat mosquitoes, but they will not rid your property of these insects as some would have you believe. Martins are still a wonderful bird and are very enjoyable to host.